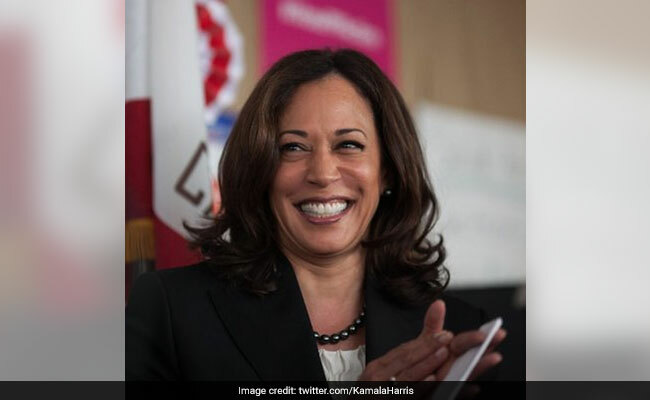 Kamala Harris, a rising star in US' opposition Democratic Party and a potential presidential candidate, is the first Indian-origin US Senator. She represents the state of California. Two suspicious packages addressed to Indian-origin Senator Kamala Harris and billionaire Democrat Tom Steyer were recovered, taking the number of such packages to 14, the FBI said on Friday. In New York, the FBI intercepted another suspicious package addressed to former Director of National Intelligence James Clapper. With this, a total of 14 suspicious packages have been recovered from across the United States. Most of packages, identified by the FBI as Improvised Explosive Devices or IEDs, have been addressed to top Democratic leaders including former president Barack Obama, former vice president Joe Biden, and former secretary of state Hillary Clinton. Since Monday, homemade bombs and other suspected explosive devices have been addressed to Obama, Clinton, Hollywood actor Robert De Niro and a slew of figures disliked by the US President's supporters. The FBI has arrested 56-year-old Cesar Sayoc, a resident of Florida, on charges of sending package bombs. He has been charged with five federal crimes. Sayoc, media reports said, has a criminal history and threatened Democrats on Twitter. He is reported to have frequently posted far-right conspiracy theories about the opponents of President Donald Trump. Earlier in the day, President Trump thanked law enforcement agencies for doing a fantastic job in the investigation of the case. "I just want to compliment law enforcement for having done an incredible job. The FBI, the Secret Service -- so many. I mean, they just got together and did a fantastic job. Like finding a needle in a haystack. "So I want to congratulate them, as you know. I think everybody wants to congratulate them. But they did a fantastic job," he told reporters at the White House.